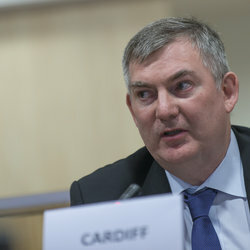 Cardiff completed a six-year term of office as a member of the European Court of Auditors at the end of February 2018. 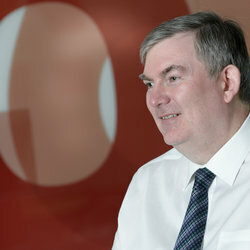 In that organisation, he was responsible for a range of audit products, including in relation to the performance of EU programmes, and for reviews of organisational issues in various EU organisations. He also had various internal management responsibilities. Previously, Cardiff was a senior official in the Department of Finance of Ireland during the worst periods of the global financial crisis that started in 2007, and was appointed by the Government as Secretary General of the Department in February 2010. 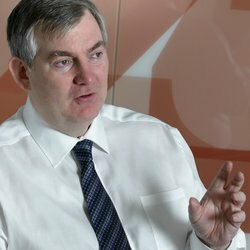 In these positions, he was centrally involved in the battle to save the banking system, and later the State itself, from bankruptcy, dealing with bank rescues, economic and fiscal planning in crisis conditions, and negotiation of the €67 billion loan package arranged with the IMF, EU and other partners in 2010. Cardiff was educated at the University of Washington, in Seattle (BA), and at University College Dublin (Master of Business Studies), and is an occasional speaker on economic, management, financial and budgetary matters. Cardiff has been a member of the governing board of the Central Bank of Ireland (“the Commission”), a director and alternate director on the European Investment Bank’s board of directors and a member of the advisory board of the National Treasury Management Agency, Ireland’s national debt management agency, as well as of many other high level steering groups and similar bodies. Cardiff’s 2016 memoir ‘Recap: Inside Ireland’s Financial Crisis’ provides an important account of the events of the financial crisis from an Irish point of view.